The focus of Center Point treatment services is to reintegrate the individual into the community with the coping skills necessary to sustain recovery, employment and housing stability. Center Point's substance use and mental health programs offer integrated treatment services with individualized treatment planning, resulting in high rates of engagement, reduced institutionalization and remission of substance use. Evidence based services are offered in California, and Texas and share a fundamental goal: to develop individual, personal, social and moral responsibility and to nurture the full potential of those served. Successful recovery depends on concurrently addressing mental health and substance abuse issues in an integrated, multi-disciplinary environment. 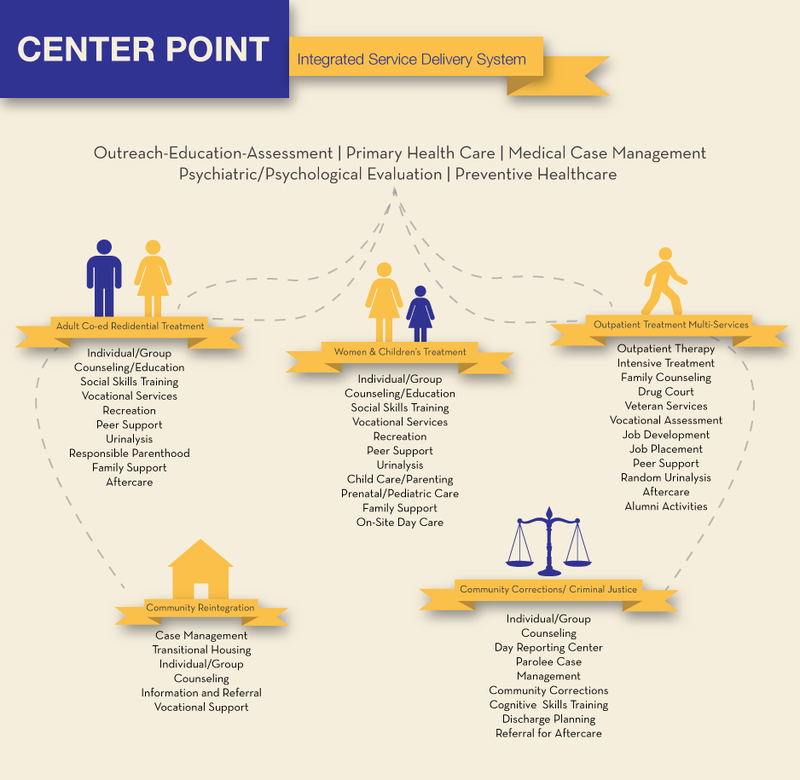 Center Point offers programs designed specifically to meet this need through a state of the art service delivery system focused on whole person needs, strengths and values.